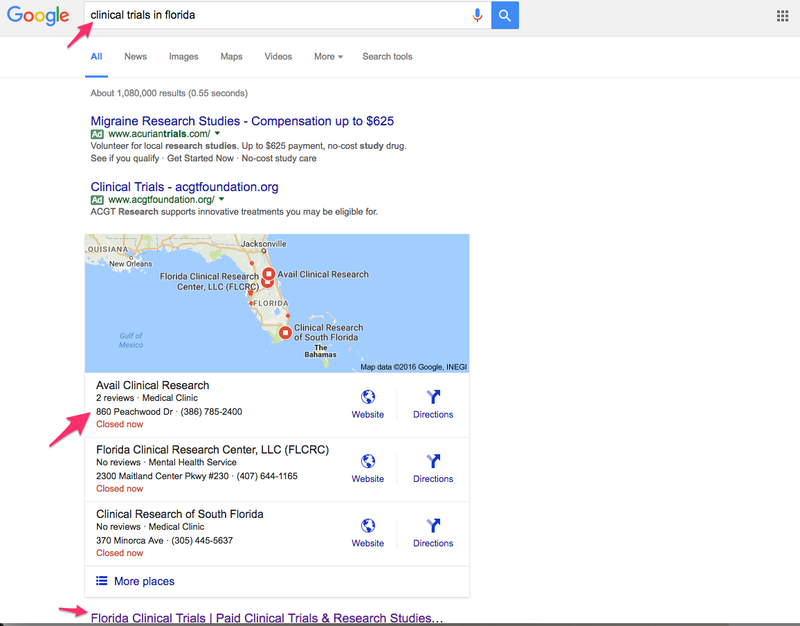 The goal was to refocus the client’s patient recruitment efforts and introduce a targeted local inbound marketing campaign to drive more qualified leads for their clinical research site (Avail Clinical Research) in DeLand, Florida. Recruitment is perhaps the leading challenge facing clinical research coordinators and pharmaceutical sponsors. The challenge I faced was coming up with a new approach that would generate more leads for Avail’s patient recruitment team at a fraction of what they usually spent in outbound marketing channels. 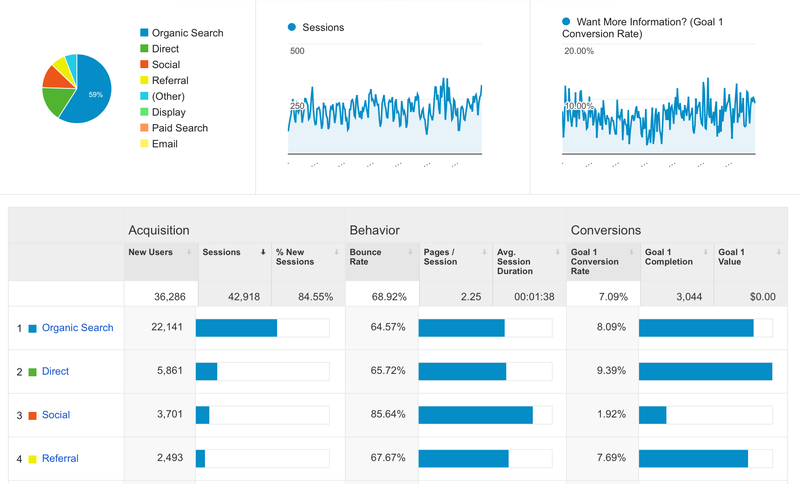 We developed a local inbound marketing strategy that combined SEO, content marketing, social media marketing and conversion rate optimization to drive quality traffic to their website and convert more leads. 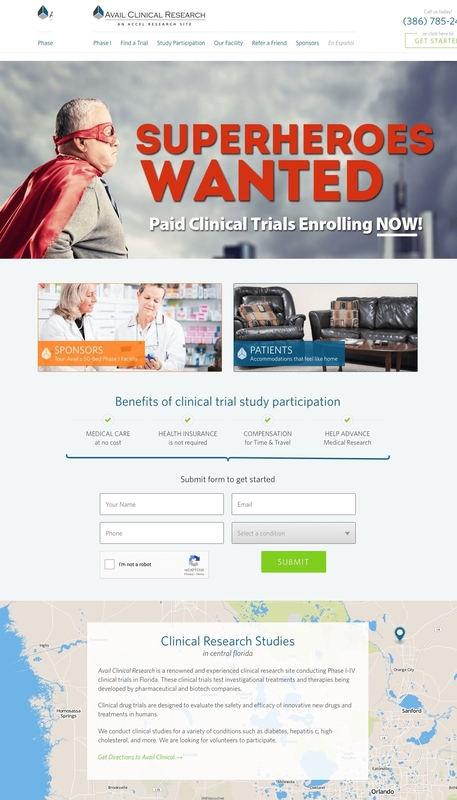 The client conducts clinical trials for a wide range of medical conditions, so we worked with their patient recruitment team to create customized campaigns (including new blog posts, landing pages and digital advertisements) each month. For the first six months of 2016, Avail Clinical Research’s website received 36,783 visitors and 3,058 new leads from all inbound marketing channels. This equates to an online conversion rate (CVR) of 7% and a return on investment (ROI) of 695%.